Richards Roof Service, LLC is a bonded and licensed roofing practitioner for all types of roofing including clay tile roofs, shingles, and gable, slate, and cement tiles. With high-performing roofing solutions that come with unmatched aesthetic value, energy efficiency, and durability. Family owners are guaranteed a building legacy for many years to come. While Richards Roof Service, LLC is a renowned tile roof repair and cleaning contractor; it also does repairs on roofs of all types in both commercial and residential projects. 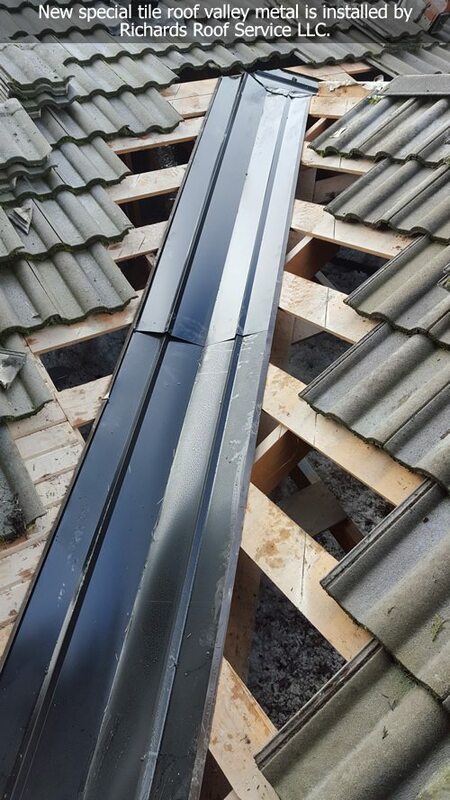 They can collaborate with the builders to provide a smooth building process including the installation of flashing roof venting. One can be sure of high-quality work that is in comfort with the construction and roofing regulations. Part of the tile roof repair and cleaning service is the replacement of the entire roof or the damaged tiles only. Richards offer a fast and efficient roof replacement service with minimum disturbance and fuss. Homeowners can get replacements of old clay or cement tile roofs with the contemporary Monier concrete roofs that are in style and that are easy to match to the existing tile roofs. 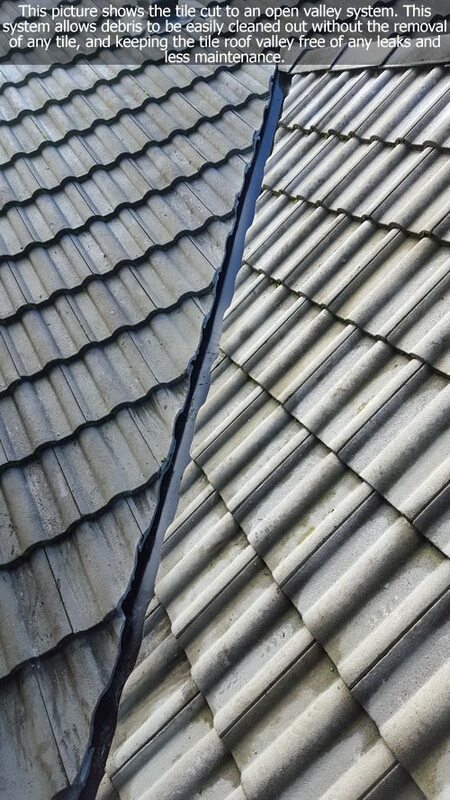 Part of the job description of a tile roof repair and cleaning service is the regular servicing of a roof. 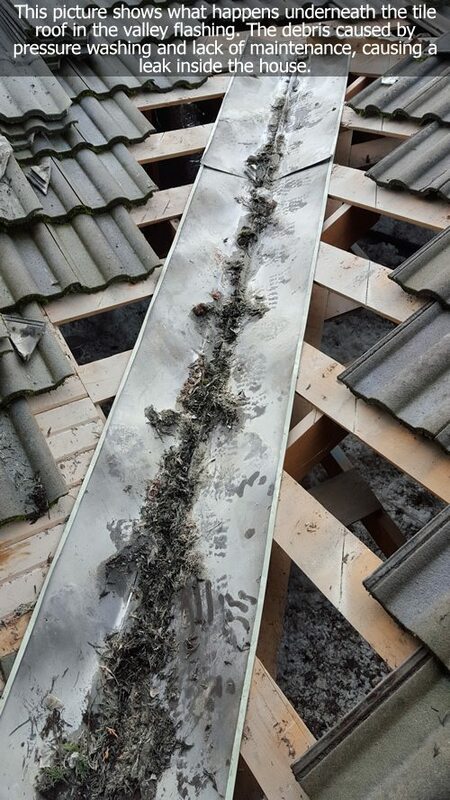 Most people expect their tile roofs to last forever without any need for maintenance and repairs only to be surprised by a roof leak. The tile itself, in most cases, is designed and produced to last a lifetime. However, the felt beneath the tiles is what keeps rain water from entering your house. Traditionally made of an asphalt base, felt becomes brittle with age mainly due to the repeated expansion and contraction when it’s hot or cold which eventually leads to cracks. Though the tiles shed most of the water, some of it makes its way to the felt underneath and in the event there are cracks in the felt, it ends up trickling down onto the ceiling. A leak can also be noticed at intersections, pipe penetrations or from broken or slipped tiles. As a well-experienced tile roof repair and cleaning service provider, Richards Roof Repair, LLC employs the vehicle’s tire analogy. Though patching up the crack may work for some time, it doesn’t mean it will stop the crack from reappearing or even growing larger. A new tile, however, will not only address the cause of the problem. Looking to maintain the sheen of your elegant tile roof? Then, you’ve got to find yourself the best tile repair and cleaning service contractor. With superior tile roof cleaning methods that don’t involve pouring water on your roof and causing a potential leaking problem, you can rely on Richards Roof Repair, LLC to provide you with a high quality and professional service. A tile roof adds a lot of ambiance and character to a home. 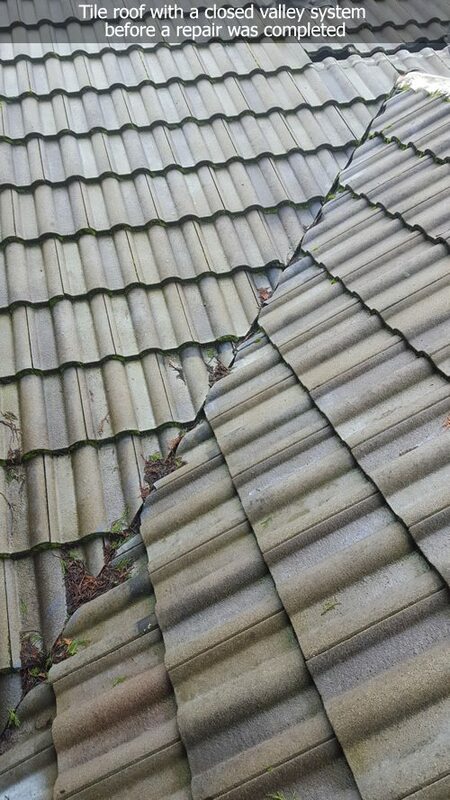 Contact the best tile roof repair and cleaner in Port Orchard, WA today.